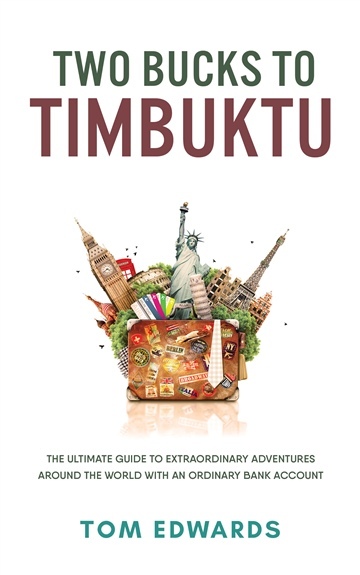 Two Bucks to Timbuktu reveals the tricks of the trade of impoverished vagabonds and savvy backpackers. You’ll learn how to make money while traveling the world—anything from doing freelance work online, writing best-selling Kindle books, performing paid live web shows as a musician, or getting a job on a sled-dog team in Alaska or a luxury yacht in the Mediterranean. You’ll be taught the secrets of traveling for free or cheap—how to find free places to stay, get your own hut on a private stretch of beach in Thailand for three dollars a night, get free meals in Italy cooked by a local, even what to pack for your trip around the world. And for those who dare, you can follow Edwards’ guide to ‘Extreme Budget Travel.’ This includes detailed instructions for hitchhiking, hopping trains, finding free food and accommodation, free sightseeing, even opportunities to get paid while you’re seeing the world! 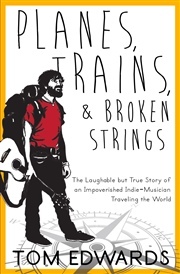 Amidst your learning you will find some of the author’s own tales as examples of what to do or not do while traveling. You’ll have a laugh here and there along with constant nudges to get your wheels moving.